I have concluded that identity obesity and identity mismanagement by consumers and companies is the root cause of the identity theft epidemic. As I continue my research about the causes of identity theft and related risks or solutions, I am convinced that both consumers and companies unnecessarily accumulate and share personal information at an alarming rate without the understanding of the risks and/or willingness to adjust their identity management practices. Let’s first understand what I mean by identity obesity and why I think most consumers and companies are identity obese. With regards to consumers, the best comparison can be made to our food consumption and weight obesity. As eating more of the wrong things can quickly lead to health and weight problems, managing too many personal information components the wrong way can also quickly lead to identity theft. One of the reasons consumers constantly create or duplicate their personal information through excessive accumulation and sharing is that they lack the basic understanding of the identity protection risks. For example, consumers continue to accumulate credit cards in which case the average consumer owns 8 credit cards or they carelessly create too many online accounts whether it’s financial accounts or social networking accounts without the basic understanding of identity theft risks and related protection and theft detection techniques. The big difference between weight obesity and identity obesity is that it’s very difficult to reverse the damage caused by identity mismanagement. Once personal information is shared with other parties, it’s extremely difficult if not impossible to recollect the shared information or stop the sharing cycle by parties we initially shared our information with. Some companies also collect more personal information from their clients than they need to run their businesses. This careless practice leads to unnecessary information protection risks and additional protection cost. What makes it even worse is that companies which sell consumer goods and services such as credit cards, fail to educate their customers about the identity theft risks when using their products because education and awareness can lead to lower sales which is not a good business practice. Please read my food and credit comparative analysis to learn more about their similarities. 1- We might not know what personal information we possess and where they might be. For example, we might not know what information we have in our wallet or which identity component can be exploited. 2- We might not understand the risks of accumulating more personal information or managing our personal information in an inappropriate manner. For example, we might write down our ATM code or keep applying for new loans without any regard for the increased identity theft risks. 3- We might not properly organize and/or monitor our personal information to detect signs of identity theft and fraud. Most people don’t have their identity components properly organized for quick retrieval and identification of best protection measures, and, don't monitor them to detect any unauthorized use. 4- And lastly, we might not secure and limit the sharing of our personal information. Most personal information components such as passports and credit cards must be physically secured and shared with caution to reduce the identity theft risks. 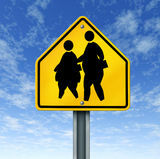 Read about workplace identity obesity. 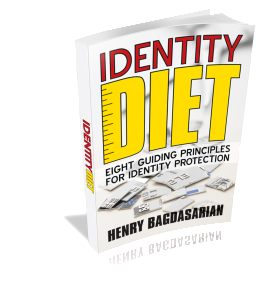 Learn about Identity Diet and fight identity obesity.